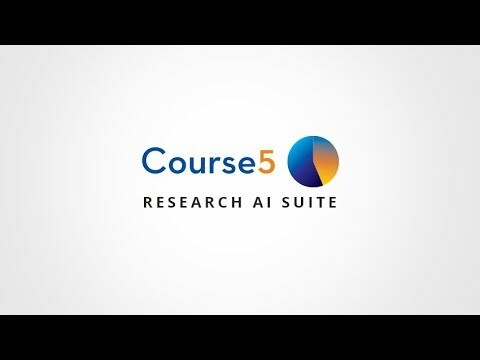 This webinar co-organized by Course5 Intelligence and the Insights Association explores how a generation of quasi-digital, semi-automation tools and technologies is today being replaced by powerful unified AI-driven systems that are fast, intelligent, and intuitive.. This webinar will showcase the sophisticated AI that allows you to view all your Customer Experience drivers in a clean, interactive interface. A reliable, future-smart approach to optimize your market research operations through analytics, Artificial Intelligence(AI), and digital technologies. 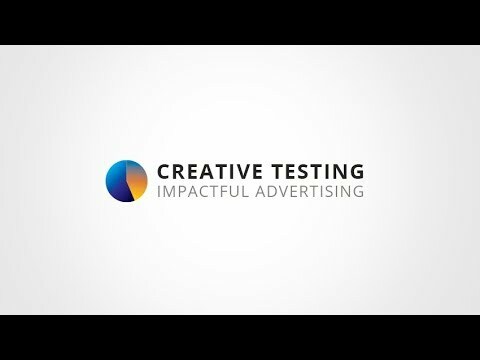 Course5’s Creative Testing is a comprehensive, self-service cloud platform that helps marketers take fast, insight-backed decisions on their creative campaigns. 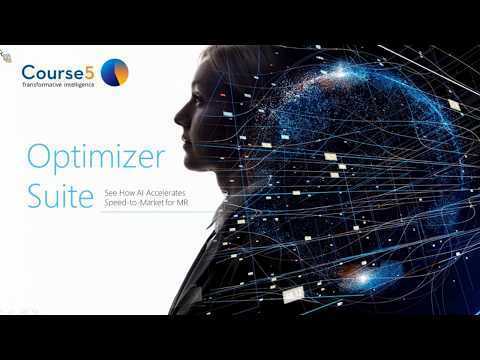 Explore our AI powered solutions driving Digital Transformation – Optimizer Suite, Creative Testing and Link. Anees Merchant of Course5 Intelligence captivates the audience at Nasscom Big Data & Analytics 2018. He spoke on “Can we train the New Kid on the Block – AI". The new LINK solution designed especially for enterprises looking to bridge the data management and insights gap. This webinar shares the drivers behind Walmart's lackluster Q2 performance including key department spending trends and shoppers' overall outlook for the upcoming holiday season. An analysis of market and consumer reactions to the Ultrabook by blueocean market intelligence using our 360 Discovery™ approach shows that the buzz generated, though positive, has been low, and while consumers have liked the physical characteristics of the product, its value proposition is still not clearly understood. Watch the interview of Ashwin Mittal-President, Cross-Tab & blueocean market intelligence on the Tee time show at ETNow Live with Chaiti Narula. Blueocean Market Intelligence is a global analytics and insights provider provider that helps corporations realize a 360-degree view of their customers through data integration and a multi-disciplinary approach that enables sound, data-driven business decisions. The state of consumer cloud understanding remains low, so what are the implications? This Webinar addresses questions pertaining to the awareness, perceptions, usage and monetization opportunities for stakeholders. Machine learning (ML) algorithms automatically recognize the patterns present in existing data and learn the respective programs. It is one of the best methods to manually construct data and efficiently project the learning therefrom. Big Data is invariably complex and the amount of data is increasing exponentially. This video explains how companies can go through a series of checkpoints to overcome today's challenges around unstructured data and generate the insights they need for a competitive advantage. 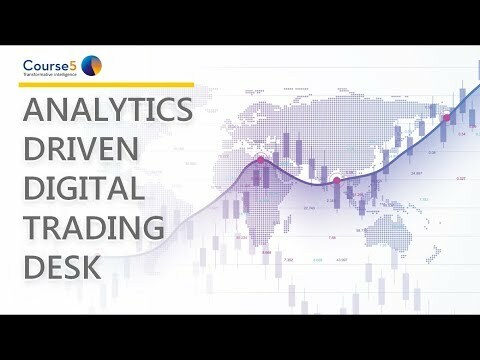 Retail industry expert and Senior Vice President of Social Media and Digital Analytics, Anees Merchant, discusses the most effective and impactful use of digital data -especially social media - during the critical holiday selling season to boost sales and maximize return on marketing investment. This Webinar was Developed especially for store, digital and ecommerce retail strategists, it speaks to both social intelligence basics and best-of-class practices within the dynamic retail marketing and technology landscape. How can Machine Learning benefit your organization? Through this video, we seek to help you improve your marketing performance, efficiently trade-off risks against different available options, maximize customer lifetime value, and increase operational efficiency. Blueocean Market Intelligence, in partnership with NASSCOM, present ‘Industrialisation of Analytics in India: Big Opportunities, Bigger Outcomes’ and will share global and Indian market size and trends, India’s current scenario, factors driving adoption, customer expectations, engagement models and challenges faced by both users and services/product firms. Bluecean’s custom retail solutions ensure alignment of all retail processes around a single consumer-centric view of expected demand to allow optimized assortment, price, seasonality and promotional decisions at store and even at the individual consumer level. 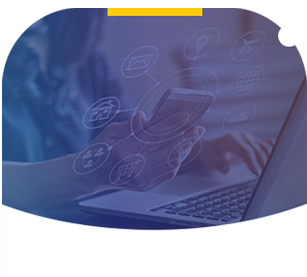 This webinar will explore how to incorporate digital media data to boost product prices leveraging the marketing and branding efforts, and check the efficacy of the brand equity built by the marketing teams. In this candid video, Ashish explains how we continued to help Lenovo always stay at the top and his appreciation for the exciting work we’ve done together. Is your data integration platform flexible enough to ingest any and all kinds of data and also validate them? Does your BI tool help connect ideas easily across multiple studies? Watch Minerva's Product Head Nishchay Mathur talk about the 5th P of Minerva 2.0, and how Minerva 2.0 is raising the bar even higher with its enhanced features and functionalities. Tune into Anees Merchant and Honey Jhala as they deep dive into the applications of our social media sensing solution with a case study. Learn how we helped a premium fashion retailer on their path to purchase model that was leveraged and developed using social media sensing. Why Digital Customer Experience (DCX)? Join Sushant Ajmani, Vice President, Digital Customer Experience at Blueocean Market Intelligence as he demonstrates how Blueocean's Digital Customer Experience (DCX) solution can help your business. Join Sushant Ajmani, Vice President, Digital Customer Experience at Blueocean Market Intelligence and explore how big and impactful is DCX and why or which of the analytics avenues are worth engineering for your business. 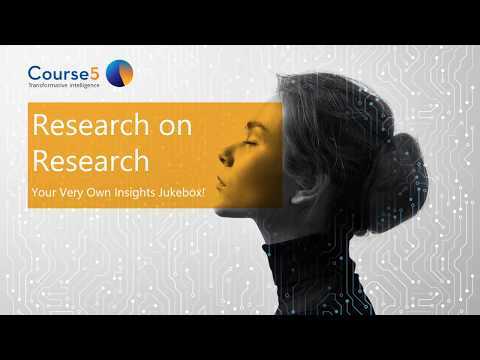 Webinar: ‘Research’ on Research – Your Very Own Insights Jukebox! Blueocean's custom built digital and social solutions have..
Blueocean Market Intelligence's new Digital Persona and Insights Solution..
Persona provides insights around customers spending habits..
Unstructured and complex data and its use to make faster busi..
A Case Study Presentation on how to drive Unified Customer..
A video in the Use of Machine Learning and NLP .. Hear how other organizations have benefited from LiNK .. This video shares how to develop a strong practice around.. This is presented by Kumar Mehta, Ph.D., Chief Evangelist.. This video covers and introduces Unstructured Text Analytics.. Introducing LiNK from Blueocean Market Intelligence.. The exponential growth of social media and new touchpoints.. Demonstration on how digital marketing, product and analytics. This video shares a holistic approach towards customer..
BlueoceanMI discusses how healthcare providers.. Learn how unstructured data analytics adds value, reduces..
Blueocean's custom retail solutions ensure alignment of all..
Blueocean invites you to visit our booth at Shop.Org..
A product that focuses on providing near to real-time..
Applicable and highly relevant to all industries that operate.. Architect is the root of the LiNK system. It takes all of your research data and normalizes it into a single platform and database. With Architect you can do anything with your research data and also merge in other types of data to run a comprehensive research project. Studio is where the data gathered in the LiNK platform is put to work. The studio provides an overview of the available data so that you can select a study or a combination of studies, or a study and some associated data. LiNK BI is different from other platforms in the market. It allows you to create a database using the LiNK platform, perform complex research using LiNK Studio, and enables you to visualize data using your favorite BI tool of choice. Data to life and to make it more meaningful. Watch this video.. The future of the LiNK platform and the enormous opportunity it holds for market research. Social media as a channel and as different platform have differently evolved over the last decade. Blueocean is leveraging its Social Media Sensing Solution to help brands and organizations get deeper insights leveraging data from the social media channels. This solution is built on core pillars which allow organizations to leverage capabilities and insights from Blueocean to go ahead and propel their efforts on the social media sensing programs. 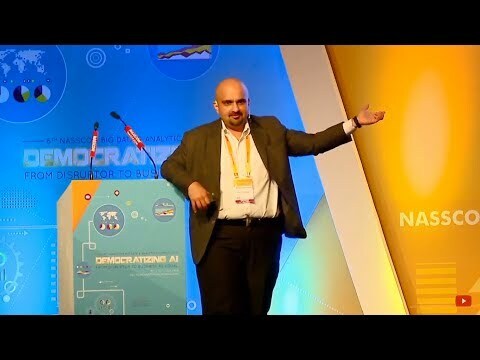 In this video, Anees Merchant talks about how data foundation, one of the four core pillar of Social Media Sensing Solutions helps organizations to manage the scaling data which is in different formats and not restricted only to text. With abilities to process images and videos, it enables the businesses to achieve their set objectives without having to worry about managing the data. In this video Anil, Product Manager of Link invites you to meet us at booth no. 7 at TMRE 2017 in Orlando, Florida and learn more about Link - an award-winning cloud-based platform which simplifies on how we work on research data. 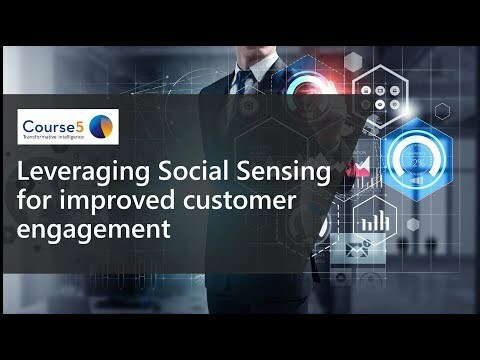 This video is about the second pillar of Social Media Sensing solution "Domain" which enables an organization to focus on the right exercise and also derive right insights. In this video, Anees Merchant talks about technology stack for Social Media Sensing Solution. It enables to store and process data using scripting. It also helps in processing text, images, and videos. having the data in the structured format is an important step in analyzing and driving actionable insights which can help organizations take important marketing decisions. To know more about these four core pillars please watch the video and keep following the series. 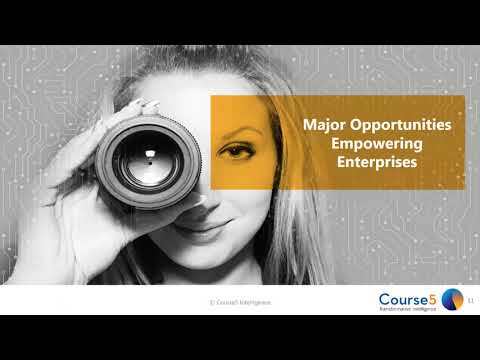 In this video Anees Merchant and Honey Jhala, the Social Media Sensing solution's lead at Blueocean deep dives into our solution using a practical case study.